The world of credit revolves around two initial things... Credit Score and Credit Report. It is too important for an individual to understand the value of both. What is a score and what is a report? ... 750 and above is a good score. Now, what happens when the score is falling into these bandwidths? The loan application approval or a credit approval is directly dependent on the bandwidth of the score where an individual's score falls. Also, the percentage of interest is proportional. When it is good, both are easy i.e. the loan approval and rate of interest. When the score is average, one faces a little difficulty in getting the credit request approved; and when it is approved, they have to pay higher interest rates compared to if the score was good. And when it is bad, it becomes very difficult for anyone to get a loan sanctioned. And even if it does, the interest rates are too high. That was about the credit score. What about the credit report? 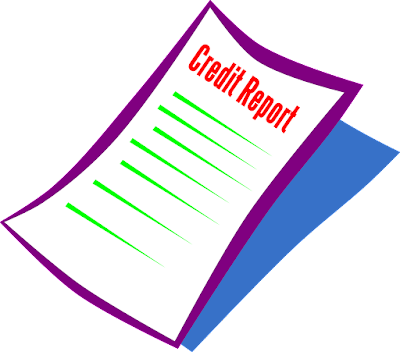 A credit report comprises the credit score and detailed information about what is the credit history. Payment History, Amount Owed, New Credits, Length of Credit History and Credit Mix are the five factors that make the score. And the detailing about them is mentioned in the report. There are four credit bureaus in India who provides the credit score and credit report. What to do if the one wants to improve credit score? Understanding the five parameters and why could the score possibly go low, is too important. The credit report is the place where one can know, what possibly could have gone wrong. The first and the foremost step is to clear the outstanding debts. If for that, one has to take a loan on the higher interest rate, it is still advised. As eventually, in the long run, this would make sense. With this, one also has to understand the credit utilization ratio. What is credit utilization ratio? While using the credit score, the credit utilization ratio is the key thing one has to take care of. It is advised that if 30% to 40% credit limit is used, out of the total credit limit one is privileged with, the score boosts. The usage which goes beyond 40% of the total credit limit one is assigned with, seems like the financial shortage and may be treated as a markdown. What otherwise can be done in such a case, where the usage is more, is to apply for one more card. So, combined one may use the same amount which was spent, but per card usage would reflect as 35% or around. That’s the fastest and easier way to improve credit score. It is important to have a healthy credit history. If suppose, there have been genuine issues in delaying the payments, or missing on the payments, explain to the banker. They would understand and may increase the tenure or reduce the surcharges applicable for loan payments. Also with that, do check the cibil report thoroughly. There may have been issues or the transactions which you do not recognize. In such situation, talk to the bureau. Get in touch with them and raise a dispute. Tell them if any particular transaction was not made by you. There may be a fraud case where someone might have used your information without your knowledge. Bad credit fix does not happen overnight. But it also won't take forever. Be patient, work sincerely and there is no chance that your score will not improve! Patience and hard work is all that it takes.